Limestone is one of the popular mining products of the Lakeview and Bayview area. The limestone was cooked in kilns in Bayview to start the process of turning it into concrete. Concrete is a key component to the building of America. But did you know concrete started in an oven with the burning of limestone? 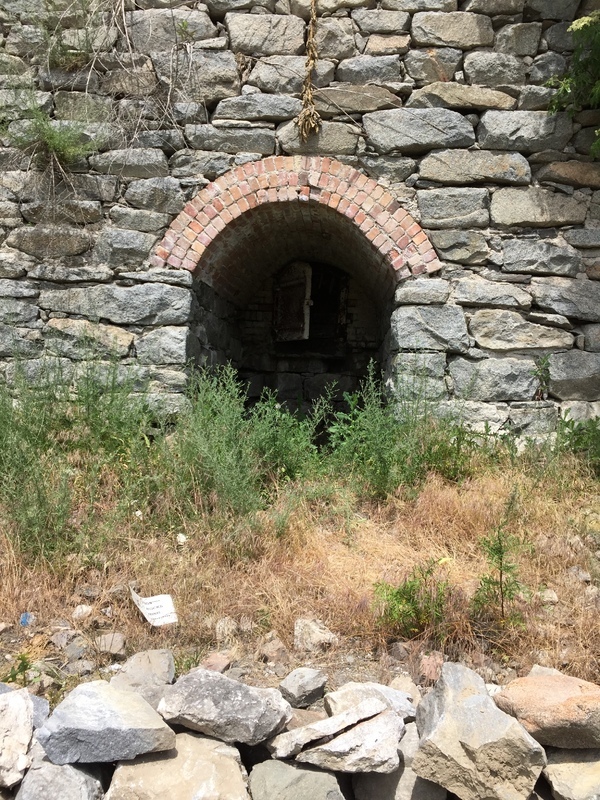 Some of these ovens or kilns can be found in the small lakeside community of Bayview, Idaho. The first claim for limestone was located in 1881 near Lakeview and soon followed by 8 more during the next two months. The limestone created by remains of fossil invertebrates of the Cambrian Sea 550 million years ago was plentiful in the hills above Lake Pend Oreille. The Gray brothers were among the first to discover the limestone quarries and formed the Cannon & Gray Lime Company in 1891 that operated north of Lakeview. They made crude kilns lined with stones and dug into the hillside with rock walls forming truncated cones. By the early 1900s two companies from Spokane had consolidated most of the individual mining claims and formed two rival businesses. The International Portland Cement Company, built a plant, “The Cement,” in 1912 just north of Lakeview to crush the limestone before shipping it to Bayview and the kilns on the banks of Lake Pend Oreille. In 1921 they built another plant, “The Portrock,” just south of Lakeview. Both plants employed about 100 local men from the surrounding area. The Washington Brick and Lime Company of Spokane operated a plant near Bayview. Mining for limestone became a lucrative enterprise for the Spokane based companies. 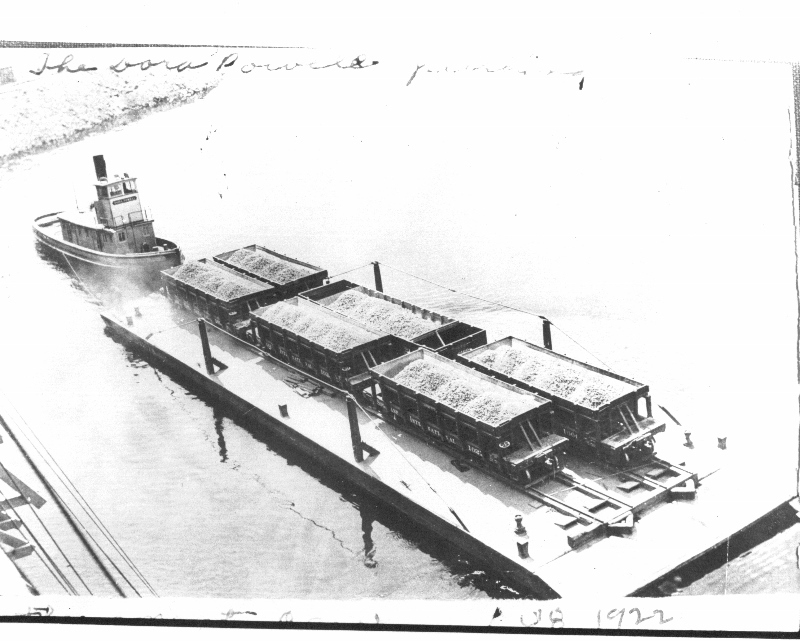 Barges of loaded railroad cars were pushed by steamers to the docks in Bayview. From there the crushed rock was loaded into the kilns for processing. The men would alternate layers of wood and layers of limestone in the kiln. The wood was set on fire and the kiln door closed. The crushed limestone rock heated at about 1,000 degrees would chemically alter into Calcium Oxide. After cooling the reduced lime was raked out and shipped to Spokane by railroad for further processing and eventually turned into cement. The 1930’s brought an end to the cement plants and lime kilns in the Bayview and Lakeview areas. A combination of a lack of market for agricultural lime, a change in the quality of the limestone from Lakeview, the lack of financial resources to improve plants and the onset of the Great Depression made the cost of lime production too expensive for the small companies. So the plants and kilns were abandoned. Today the foundation of the cement plants and vacant kilns are a reminder to a once lucrative business in the mining history of North Idaho. The International Portland Cement Company's plant : The International Portland Cement Plant near Lakeview. This plant was known as “the Cement”. The underground quarry relied on manual labor of crews of over 100 men. Many of the men were Greeks, Italians, Bulgarians and Austrians. Courtesy of the Museum of North Idaho. One of the four remaining lime kilns at Bayview, Idaho. : The front of one of the lime kilns at Bayview, Idaho. The majority of the kiln is stacked natural rock. The oven is lined with old brick and set back into the main structure. The outer wooden doors were added after the kiln was not in use to keep curious people out of the main oven. In this picture you can see the inner door of the oven. Courtesy of Mary Garrison. The lime business in Bayview almost changed the county lines. 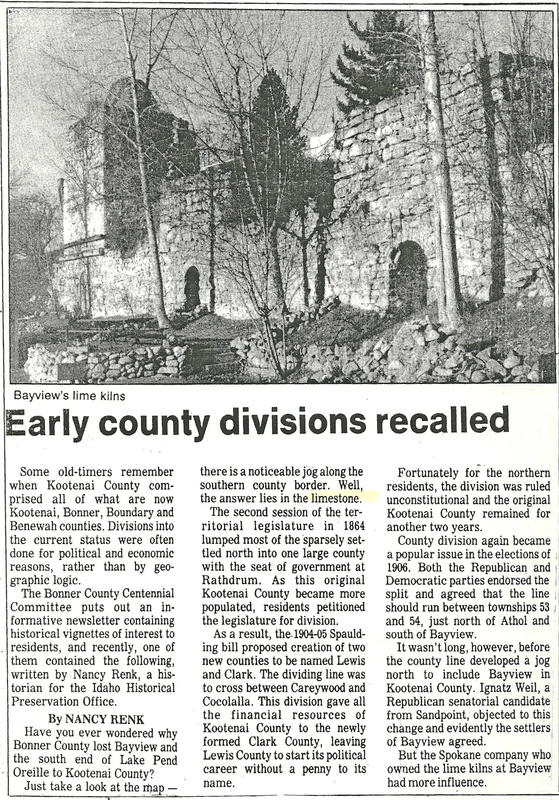 : Article from the Bonner County Daily Bee Tuesday, June 13, 1989. 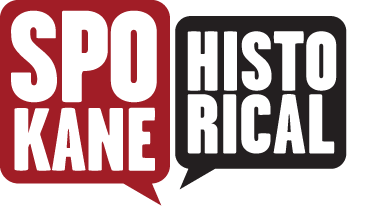 Two Spokane companies owned cement plants and kilns in the Lakeview/Bayview region, the International Portland Cement Company and the Washington Brick and Lime Company. However, since both companies ceased to operate in that area after 1930, their economic input was short lived. Bayview Lime Kiln. 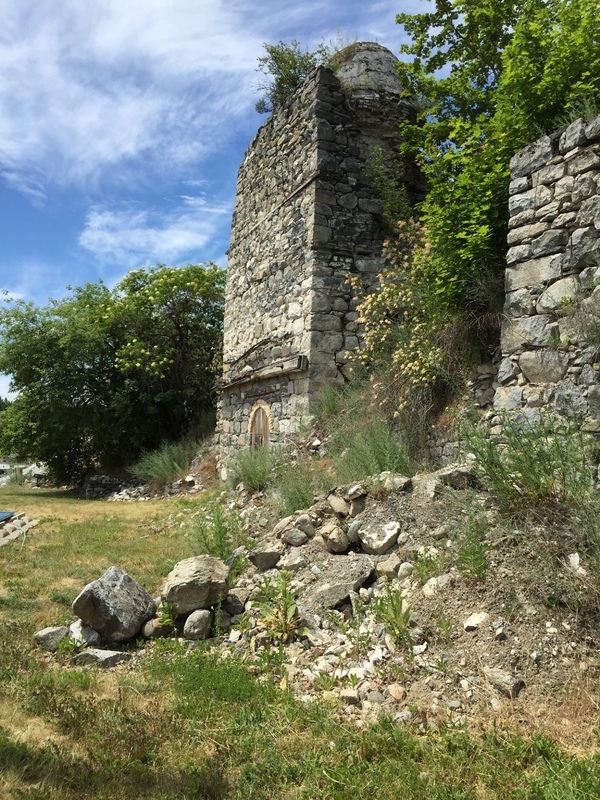 : One of the five lime kilns at Bayview, Idaho. Notice the cone shape at the top. The kiln is about 20 feet high. The base of the kiln is stacked natural stone. The oven section seen on the front of the kiln was inlaid with old brick and had a wooden door that was about 4 feet high. The kilns would reach a temperature of about 1000 degrees. Courtesy of Mary Garrison. Mary Garrison, “Cooking Lime in Bayview, Idaho,” Spokane Historical, accessed April 20, 2019, https://spokanehistorical.org/items/show/585. Hackbarth, Linda. Bayview and Lakeview and Other Early Settlements on Southern Lake Pend Oreille (Museum of North Idaho, 2003). Bayview Historical Society, from Bayview Historical Society. “Limestone Businesses,” available at http://www.bayviewhs.com/early-bayview/limestone-businesses/.